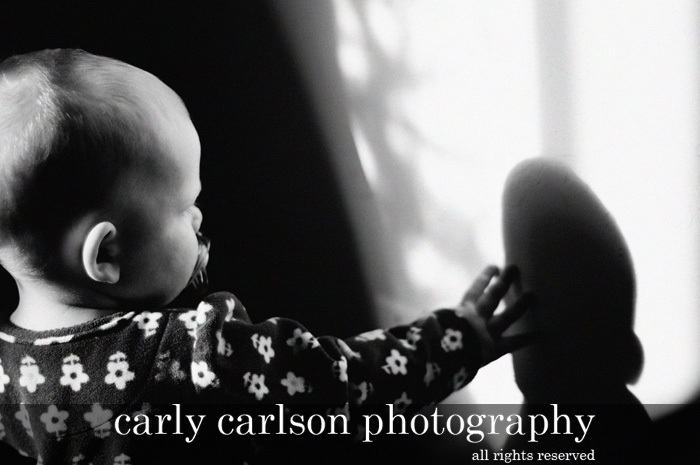 My little girl discovered her shadow on the wall today. 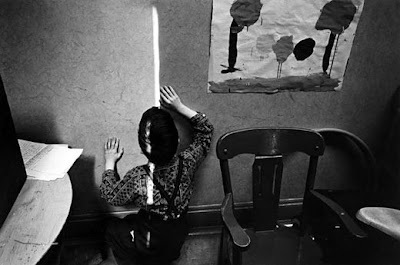 There is a portrait one of my favorite film photographers, Charles Harbutt, did of a blind boy touching a strip of light on the wall. It has been the most influential portrait I've seen- it is such an emotional piece, every time I see it I choke up a little. I hope someday to take a photo with so much meaning and such power. Anyway, when I saw Stella reaching for her shadow it reminded me of "Blind Boy" and I had to rush for the camera, so as not to miss that special moment!